What is the Curious-city™ approach? Curious-city™ is a localised, enquiry-led way of meeting all the goals of NC2014 within an inspiring and creative framework. We have carefully mapped all the targets of the National Curriculum to a series of enquiry questions across all primary year groups, allowing the content to be explored in a way that stimulates real, engaged learning. Rather than using topics to, for example "do history or science", Curioius-city uses states of being to encourage learners to become historians, scientists, authors, musicians and much more. 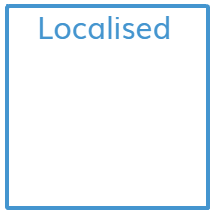 The localisation, linking enquiries to people and places in the school's area, brings the school and its community together. As teachers with years of experience at all levels of education, we've designed Curious-city to be relevant, achievable and realistic as well as a refreshing and exiting alternative to traditional curriculum coverage. A short video giving an insight into a Curious-city enquiry. Usually an enquiry would be spread over days and weeks, but we've found that a single day with a question for them to investigate can be enough to inspire learners . All 49 enquiries have a carefully crafted overarching question, too big for learners to be able to answer straight away, yet not so big that it's conceptually unobtainable. Through engaging and exciting experiences, learners are immersed in key language. By combining skills and knowledge, they are challenged to independently prove their learning and, ultimately, answer the driving question. Seven core themes ensure that enquiry questions are situated in a variety of contexts and ‘big’ ideas. Hover on each theme for an example of enquiry. There is a huge difference between doing history and becoming a Historian; our States of Being empower learners to become Scientists, Mathematicians and Philosophers. The implicit skills, dispositions and curiosity required to think like a Historian make the shift away from teachers creating planning based on content, to thinking about how learners will actively experience the localised, real content in different ways. Curious-city covers all primary year groups, including Nursery and Reception. All 49 enquiries are progressive and connect learning from year group to year group. We will work alongside EYFS to help establish States of Being within the phase to enhance Development Matters, in a bespoke way, relevant to your learners and their needs. 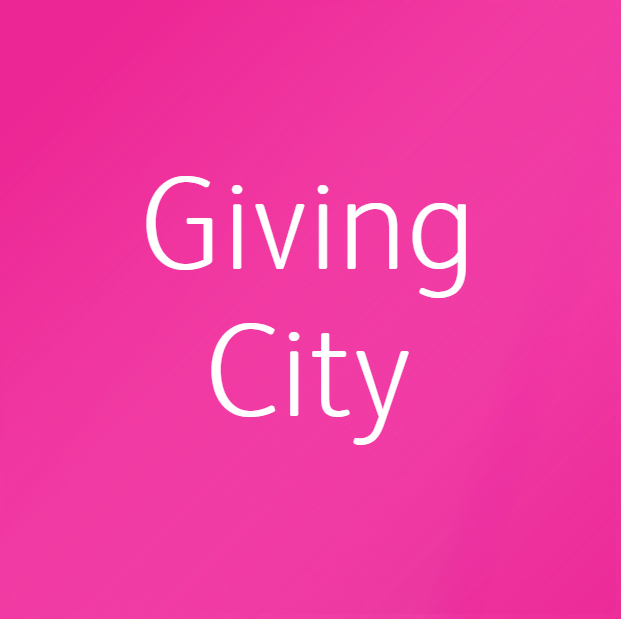 Curious-city was created by a team of practising teachers and Headteachers that wanted more than just the National Curriculum and to pull great learning from different national projects, such as Heritage Schools and Natural Connections. They wanted one that embodied the idea of creativity, curiosity, independence and enquiry-led learning. Every school has to demonstrate how they promote British Values through the school. Curious-city goes some way in doing this, and with an active trail of British Values through the curriculum. We can easily demonstrate how the curriculum, and the way it is enacted in and around the school, actively promotes social, moral, spiritual and cultural values, particularly though sensitive subjects such as ethnicity, homelessness and altruism. For teachers: Curious-city frees up teachers to express themselves and get the most out of their classroom and their careers. For the school: Curious-city will inspire a collaborative team approach across the school, as well as ticking a lot of Ofsted boxes from the moment the inspectors walk through the door. Most importantly, for learners: Curious-city enables learners to become scientists, authors, engineers and all the other states, rather than simply teaching Science or English. It creates an ethos of curiosity about the local area, the people in it and how the learners themselves are a part of it. Curious-city™ is more of a concept than a package or a deal. You can take what you need from both the curriculum itself and our support of it. You might want to revitalise your entire curriculum and shift the culture of your school, or possibly just improve on a few subjects and have areas in which you think you'll need help with the relevant skills. We're always happy to talk through individual requirements and requests, as we know how different every situation can be. At its most basic, Curious-city™ costs roughly £850. The fullest use of all materials includes some support and costs around £3450. This is a one-off cost, not a renewed license, and we'll be updating the enquiries in the full content regularly. This consists of 49 enquiries, seven for each year group, broad and balanced learning opportunities, recommendations and contact details. It guarantees National Curriculum 2014 coverage and includes regular updates and new enquiries at no extra cost. The curriculum works best when taken on as a whole, but you might want to look at improving one subject or more in particular. For example, a Curious-city™ approach to the sciences is possible to treat separately thanks to the modular design of the curriculum. We are happy to talk through any special requirements you might have that are specific to your situation. There is potential to adapt Curious-city™ to STEAM or other programmes including languages, as well as moulding it to be far more focused on the immediate surroundings of your school. We'll always give you some advice and guidance on implementing Curious-city™, regardless of the level of content you take on. There's no standard package for support, because we want any input we have to be actually effective and useful to you, and we know that every situation is different. We can offer anything from one-off meetings that introduce Curious-city™ concepts, all the way up to comprehensive training, support and interim curriculum leadership. How you engage with Curious-city™ might change over the years, so it helps to consider your current position. These are three ways that might help you see how Curious-city could benefit your school. 2017/18: The Establish and Enhance packages, introducing Curious-city concepts and bringing in enquiries for all year groups. This involves Ali Camp spending some time as curriculum lead as well as running their INSET day and early staff meetings. We'll continue to be a presence in the school throughout the year. 2019: Next year they will move on to the Extend package, broadening the skillsets and further embedding Curious-city within the school community. We will be on hand throughout this process with support and guidance. At the heart of the Curious-city™ concept is the community of learning opportunities and schools that it is dedicated to bringing together. By "learning opportunities" we simply mean something that children learn from. This could be anything from storytellers to institutions like a local museum. There's no formal membership involved, and no fees, we just want to gather together a massive number of interesting experiences that can help inspire children to learn. Where do learning opportunities fit in to the curriculum? As a part of a year group's work, they will get the opportunity to visit a place or meet a person that will help bring an aspect of their study to life. As part of Curious-city™, you would be one of the providers suggested to schools using the curriculum for the enhancement of certain enquiries. Nothing! We're just trying to give schools the best possible options for making the most of their area. What do I need to provide for schools? It really is important to know how to integrate what you do into a school's work. When you first get in touch, we'll talk through what you can offer and offer some advice if needed. We can also provide a full programme creation or auditing service through our LEAD division; we're currently working in this way with the Wildfowl and Wetlands Trust. Alison Camp is Curious-city™ Team Leader as well as a practising teacher. Ali and Lighting up Learning Director Nicholas Garrick created the curriculum that embodies a way of teaching and learning that's relevant, robust, localised and future proof. Drawing on years of teaching, curriculum leadership and project management for cultural, heritage and environmental organisations, they have created something that unites an area behind the shared desires for better education and stronger communities.